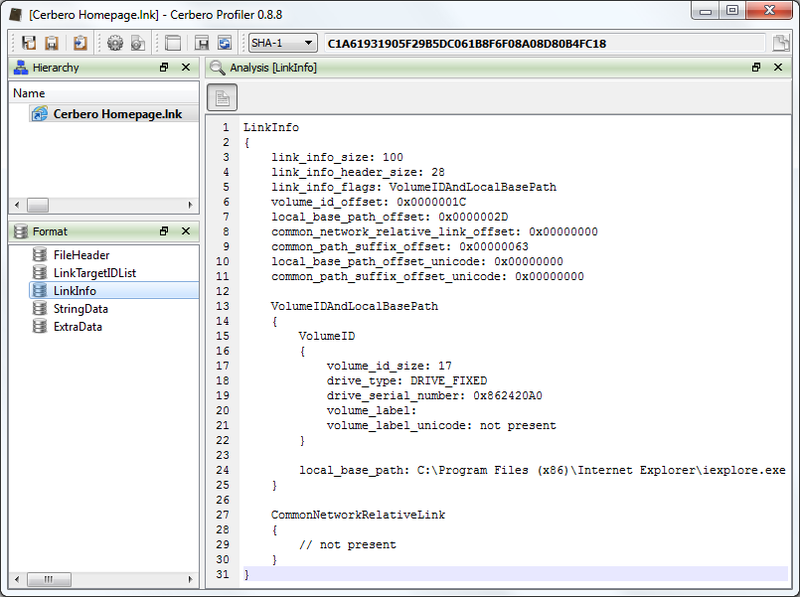 The next Profiler update, along with several new features, will also include preliminary support for the Windows Link files (also known as Shell Links). This format has been introduced with Windows 95 and is frequently taken into consideration in forensic analysis procedures to discover usage information about files and folders. In the image below, a link file that opens the Cerbero homepage using Internet Explorer is being shown.